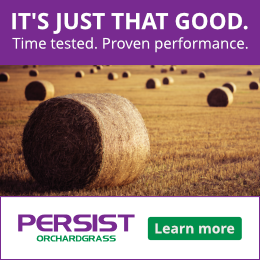 Editors’ Note: Did you ever wonder why On Pasture’s Rachel Gilker knows so much about soil? Well, in addition to all her academic training, she is also assisting Dr. Ray Weil, as he writes the latest edition of THE textbook on soils. 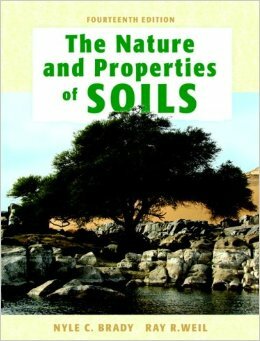 “The Nature and Properties of Soils” is basically the be all and end all when it comes to books on this topic. On Pasture is honored that Dr. Weil is sharing this excerpt with our readers. It’s also an opportunity for us to all begin thinking of a solution to this important problem. Many scientists argue that improving the efficiency of phosphorus use in farming is not only essential for profitable agriculture, but is a moral obligation to future generations that will have to depend on Earth’s limited phosphorus supplies. The immediacy of this concern is not shared by everyone, but the importance of conserving phosphorus is based on two facts that are quite indisputable: 1) phosphorus has no substitute and 2) it is not a renewable resource. All living things require phosphorus as it is literally in their DNA. Humans need phosphorus in their own diets. Soils need phosphorus if they are to support the plants and animals we use for food. There is no substitute for phosphorus in these roles. Economists tell us that generally goods will be replaced by something else if scarcity drives up prices. For example, if copper becomes too expensive, fiber optic cables might replace copper wires; or if fossil fuels become too expensive, people may invest in wind power to replace oil and gas in generating electricity. Since phosphorus is a basic chemical element in the structure of many essential cellular components (DNA, RNA, membranes, ATP), no such substitution will be possible. On the positive side, same phosphorus atoms can be used over and over again – if they are not so carelessly dispersed as to make them virtually unrecoverable. The current model is unsustainable. We mine phosphorus (P) and apply it as soluble fertilizer only to have much of it wash off P-saturated farmland into streams and then into the oceans. Even most of the phosphorus that crops do take up and use makes its way indirectly to the oceans after a one-way trip through the food to sewage system. For these reasons – not to even mention the damage P causes in eutrophication of aquatic systems – there is a growing belief that the time has come for individuals and societies to learn more efficient and sustainable methods of using our infinitely precious but definitely finite phosphorus resource. a For reviews of the complex issues and varying estimates involved with Peak Phosphorus concept, see Cordell and White (2011) Peak phosphorus: Clarifying the key issues of a vigorous debate about long-term phosphorus security. Sustainability 3:2027-2049 and Scholz et al. (2013) Sustainable use of phosphorus: A finite resource. Science of The Total Environment 461–462:799-803. . For perspectives on the “trilemma” involving geopolitics, poverty and resource limitations, see Obersteiner et al (2013) The phosphorus trilemma. Nature Geoscience 6 897-898. and Wyant et al (2013) Phosphorus, food, and our future Oxford University Press,, Oxford, UK. 224 p.
When is My Grass Going to Grow?! Dr. Ray Weil is professor soil fertility and ecology at the University of Maryland and an internationally recognized leader in research on soil quality and in soil science and education. He has researched, taught and advised farmers in the U.S. and Africa and other regions on ecological approaches to soil management. His research and writing focuses on soil fertility, cover crops, nutrient cycling and organic matter for soil health, food security and water quality. He is best known for authoring the widely used textbook, "The Nature and Properties of Soils." I remember good ol’ Dr. Skogley, my soil fertility professor, at Montana State Univ. lecturing us about peak phosphorous (back in 1995). I have heard little about it since then. Sadly, in Wisconsin, the big issue is too much phosphorous running off into waterways. It’s a problem that is increasing, not decreasing, despite decades of state and federal money to reduce runoff. The problem is getting worse thanks to federal policies supporting corn and soybeans that encourage farmers to plant more of them and rip up pastures and hay fields. Dr. Weil, I still have your textbook on my shelf, as it is a handy reference. Thanks for your work. Thanks for your supportive comment. I knew Dr. Skogley and his soil testing resin ball:) Its the P in the livestock feed that gets most farms in P trouble. A pure grazier should’t have to worry much about that.